If you’ve just stepped off a plane or a ship, tired and aching from a long flight, there can be no better way direct to your destination than a Prestige Chauffeur airport or seaport transfer Service. Traveling through a large, busy airport can be a hard experience. Booking one of our airport pickup or transfers to Gatwick or our Heathrow London airport transfer in advance takes a big difficulty off your mind, and it guarantees you arrive at your destination relaxed and invigorated. Our professional drivers can track your flight and amend for any delays outside of your control. They’re as well hand-picked and locally conversant, so feel free to ask them for tips or advice on what to do during your stay. London Prestige Chauffeur aims to attain the very highest promising standards possible for all its customers. Whether you’re stepping out on business or you need to be dropped off at an Airport after a holiday, Prestige Chauffeur will get you there relaxed, recharged and ready with an airport transfer service. Traveling with family or colleagues? A Prestige Chauffeur Business Van can transport groups of up to 16 people together, with plenty of room for luggage. For those after that little bit extra, consider our First Class service for the epitome of style and comfort – perfect for exceptional occasions. Our airport transfer vehicles are comfy, clean, and luxurious. The fleet includes Mercedes S and E Class Sedans and Mini Vans capable of 4, 6 and 8 Seat Chauffeur Service transfers to the airport or for port transfers such as London to Southampton, Dover or Heathrow to Harwich. Full size Tour Buses from 12 to 72 Seats are available too for group air/seaport port transfers. Prestige Chauffeur is certified and our drivers are well-trained with many years’ experience. They know the local area and are pleased to share their knowledge with visitors. In fact, sightseeing tours are another of our London chauffeur services! Our London airport transfer rates are fixed, we do not use Taxi Meters so traffic condition doesn’t affect the rates you pay, and you will only pay the agreed and advertised rates. We also offer family services for travelling around the city or moving to the airport. We can also customize a car according to your needs. 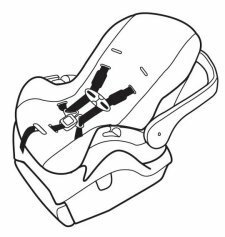 So if you have a baby travelling with you, let us know and you will find a luxury car customized with a child seat waiting right on time at your pickup point. 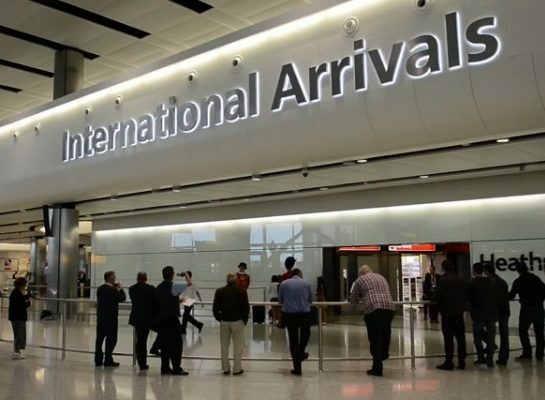 Your Chauffeur will be waiting for you in the arrivals hall Just after you claim your luggage, He will be holding a name board with your name on it and he would courteously assist you with your luggage. We will also provide you with his Phone number and pass your mobile number to him in case you needed to talk to him. This is a Proper meet and greet service not a kerb side or a car park pick up. There is no extra charge for the meet and greet service it is part of our service to you. In the unlikely event that you cannot find out chauffeur waiting for you at the arriving terminal, you should call us immediately. We would guide you immediately to your chauffeur, so do not leave the airport. Those who are delayed due to luggage reclaim, customs or any other reason should also contact us or contact their chauffeur to advice that they are delayed. We offer a VIP meet and greet service this service include meeting our client at the airplane doors escorting them through fast track immigration control, claiming luggage then bring the client to the waiting chauffeur car. Porter, Cart all can be arranged. Please contact us for more information and charges for this service. London prestige Chauffeur Service and its chauffeurs are cleared and authorised to pick up airside and private jet arrivals at all of the UK airports and jet centres including Harrods Aviation, Signature aviation etc. your expectations and that we are reasonable in pricing our services. Call us today and discuss your itinerary with one of our staff member for your cruise port or airport transfers. Or, you can fill the online query form for the same. The booking of Prestige Chauffeur Transfer service is easy and requires just a few seconds. You can reserve your airport transfer in just under 2 minutes by using the on line booking form or by calling us on the phone. The required steps are simple: just supply the pickup and destination data and select your vehicle class then click send. we will receive your booking and send an email of confirmation shortly afterwards. Prestige Chauffeur prides itself on transparency, which is why you won’t receive any hidden fees when you book with us – the price you see is the price you pay.